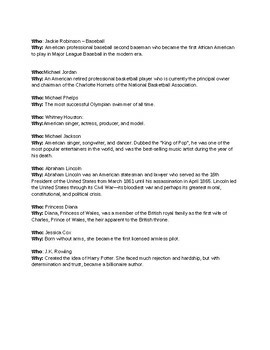 This resource is a place for students to start sifting through influential people. The entire goal of this speech/paper is that students research someone they are influenced by. 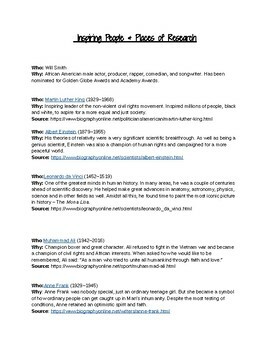 If students claim to not have a person or don't know where to start, this resource leads students to a plethora of influential people and sites to access information on those people.